AGREED with all of this! Just pure fun! I was lucky enough to read HH right before DG came out...but then had to wait for SB!! I still haven't read the new series yet, eep! Sonia - it IS fun! Bonnie - her new series is a spinoff of this one, and though I think this was a stronger first book, they were both super fun, and School Spirits had a lot going on in it - lots of room for series growth! Yes to all of this! I KNEW you would love this one since you enjoyed School Spirits. I really did as well, but there's just something about Sophie's awkward humor that I just love and kept me coming back for more. 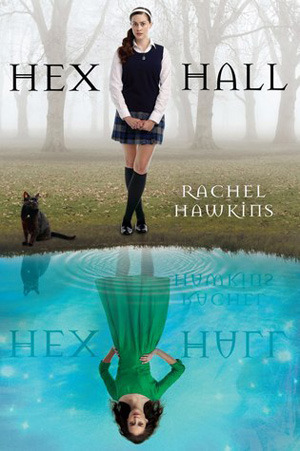 This series has no right to be as good as it is given the story, but I don't even care how she does it, because Rachel Hawkins is a marvel at making me read a book in one sitting and love every minute of it. That is EXACTLY it, Heidi! It has no business being as enjoyable as it is, but damn, is it ever?! She's so super engaging!